This post shares a presentation made by Adam Nilsen, Miriam Bader, and myself at the American Alliance of Museums conference last week. Adam Nilsen is a graduate student in Stanford University’s School of Education, where he is studying empathy in a variety of settings, including museum settings. Prior to working on his PhD, Adam was a researcher at the Oakland Museum of California, where he researched and curated exhibits on California history. Miriam Bader is the Director of Education at the Tenement Museum. During the presentation, I offered an introduction, Adam shared research on empathy, and Miriam illustrated with examples from the Tenement Museum. In order to indicate the speaker, I have divided sections with horizontal lines, and indicated the speaker for each section. 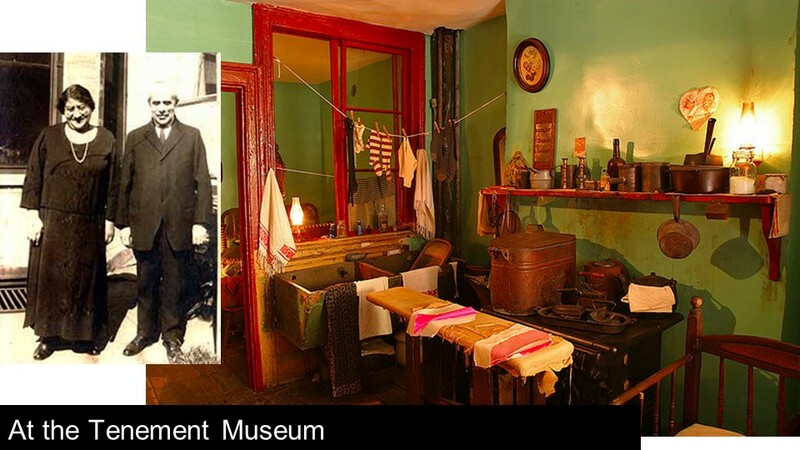 This is a picture of The Tenement Museum in New York City. 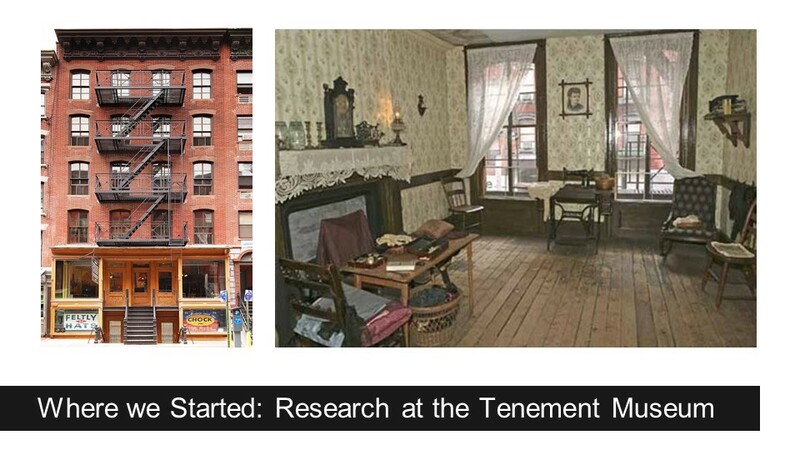 The Tenement Museum tells the stories of the apartment building at 97 Orchard Street, which housed nearly 7000 immigrants between 1863 and 1935. Visitors are taken through the building on guided tours which generally focus on one or two historical families and their experiences. Last year I was working as a consultant, and I was fortunate enough to do some work with this museum. 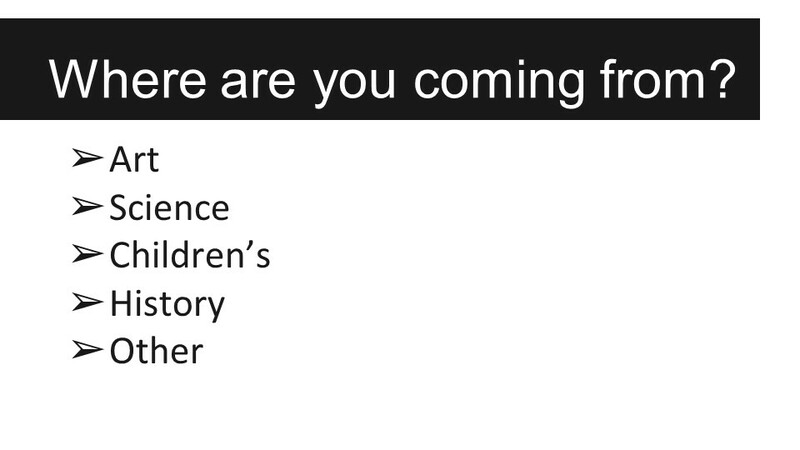 We were looking at their tours and a set of visitor responses, including an empathetic response. 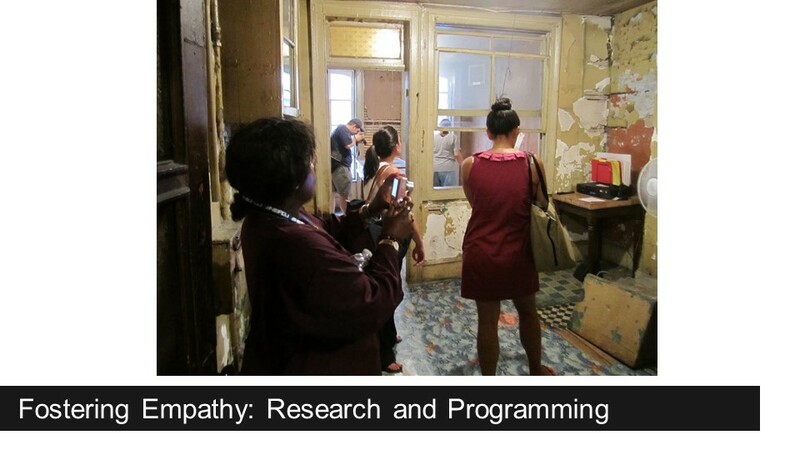 Empathy seemed, and seems, like a critical outcome of a visit to the Tenement Museum – in fact, one past study showed that, after their visit to the museum, nearly a quarter of visitors reported feeling empathy with immigrants of the past. But it is also problematic: How do we know if people are experiencing empathy? Is empathy always good? What is empathy, and why should museums care about it? In order to learn more about empathy, I reached out to Stanford’s school of education, and found Adam Nilsen, who is an expert in this area, which led to this presentation. 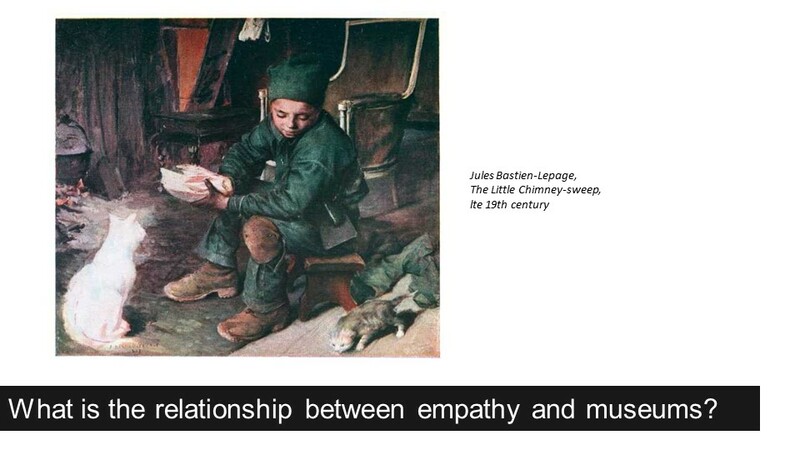 Before Adam talks about the research, I am going to set the stage by briefly defining empathy, and talking about why it is important, and what this has to do with museums. 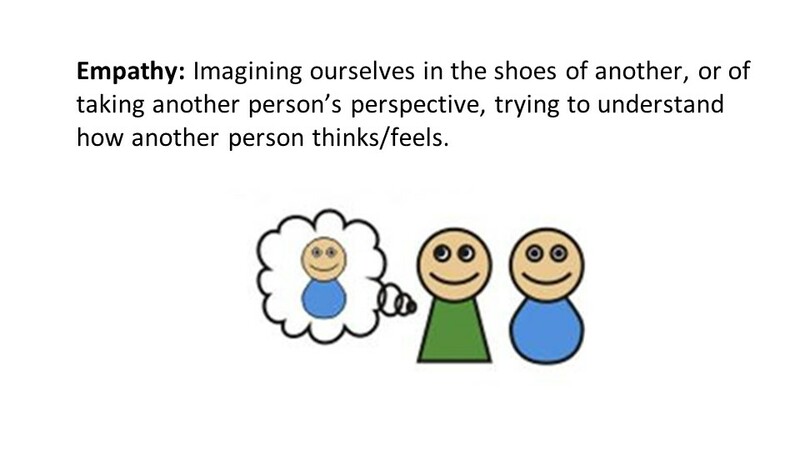 Empathy is often the result of what history educators call “Perspective taking.” Perspective taking is imagining or hypothesizing about what it would be like to be in another person’s shoes. Because they are so entwined, the phrase perspective taking is often used interchangeably with the word empathy. At this conference we are talking about the social value of museums. We should consider empathy as one area of social value. It seems likely that museums are particularly effective vehicles at engaging people in empathetic responses. Museums provide immersive, personal experiences. Looking at a portrait of someone, or visiting an exhibition about a historical figure or moment, these distant people are palpable and present. So empathy is important and museums are good at eliciting empathy. I’ll put that in my next grant proposal – done! What more do I need to know? There is, in fact, a body of research about empathy, and how to elicit it. Museums can draw on this research to improve our chances of evoking empathetic responses, and for understanding the potential impact and value of evoking these responses. Around age 5, we start understanding that other people have different thoughts/feelings, and distinguishing between what we know and what others know. Empathy is different from sympathy, which is feeling sorry or concern for a person in distress, as opposed to imagining the person’s perspective or sharing their emotion. Empathy is seen as essential to smooth social functioning (imagine issues you may have had where someone is unwilling to see your perspective). Furthermore, people who are highly empathic tend to behave in more caring, considerate ways toward others. Plus, researchers have also found that when we are encouraged to take the perspective of a member of a stereotyped group, we are less likely to apply stereotypes to that person. It is more powerful than telling someone “don’t stereotype,” which does the opposite. SO, there are plenty of reasons why educators want to promote it. It can be difficult to get out of our own heads. Although we’re not 5-year-olds, we still have egocentric bias – our initial instinct is to view things from our own perspectives. It takes mental effort to understand the perspective of another person. History educators have used the term “presentism” to describe egocentric bias in reference to understanding people in the past. It is hard for us to not assume that people of the past thought the same way that we do. We easily think that they are just like us, but with weird clothes. As a result, history educators have reported volumes of examples of students thinking that past people were stupid and backwards. 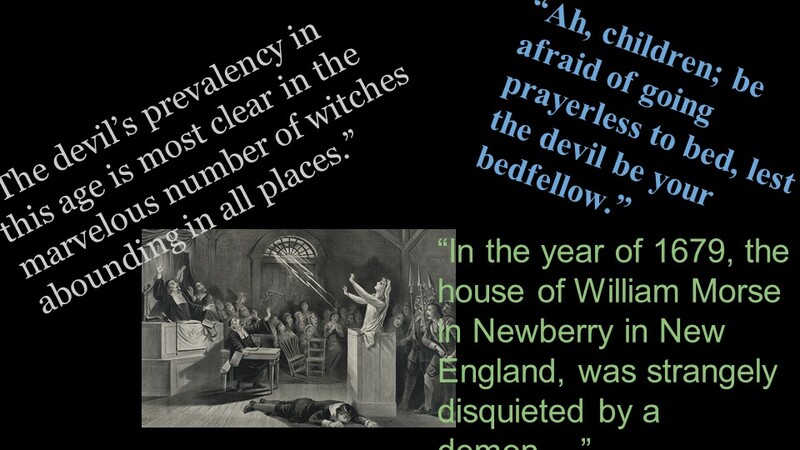 “A town full of people accusing each other of witchcraft? 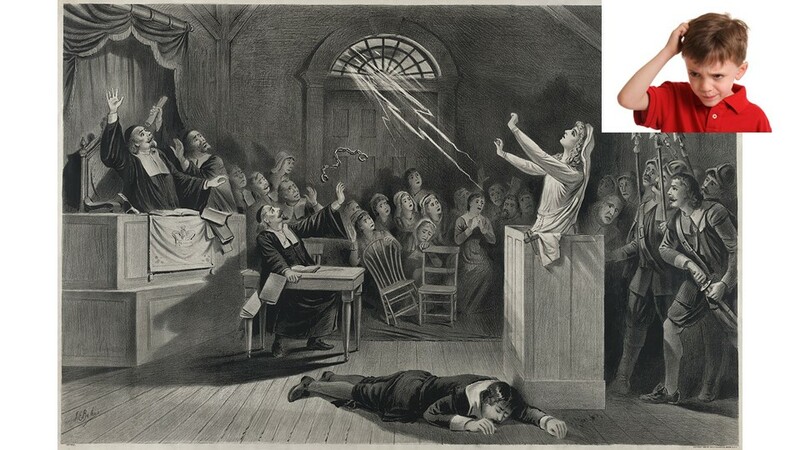 Eating ‘witch cakes’ to determine who was guilty? What idiocy!”, students think as they fail to understand the complexities of a time and place where such an act was perfectly logical. What does this look like in the museum, with less time to spend with visitors, and a different set of resources? (2) We need to reflect on our own positionality – what our views are, where they came from, how they might differ from others’. Not only do we discover things about ourselves, but we are more able to understand the perspectives of others. So how might we promote empathy? 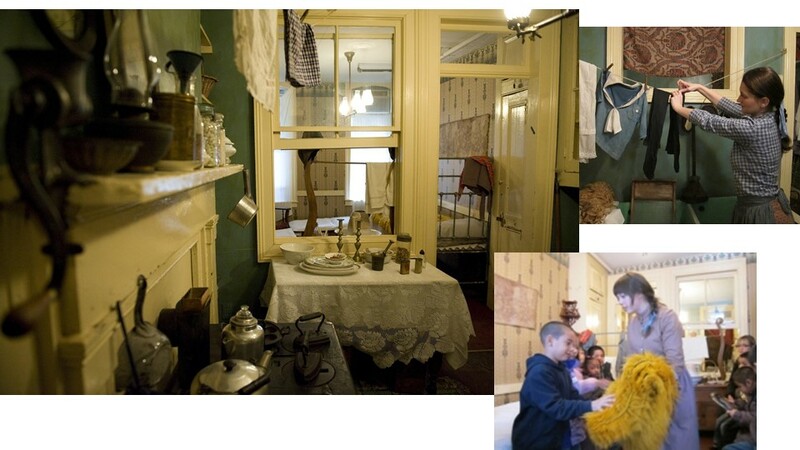 The Tenement Museum provides context to all the family stories we share. On our living history programs, we take this one step further by giving visitors the directive to become a character from a different time period. The goal of this is not for them to become actors, but to help create an environment where empathy is fostered. 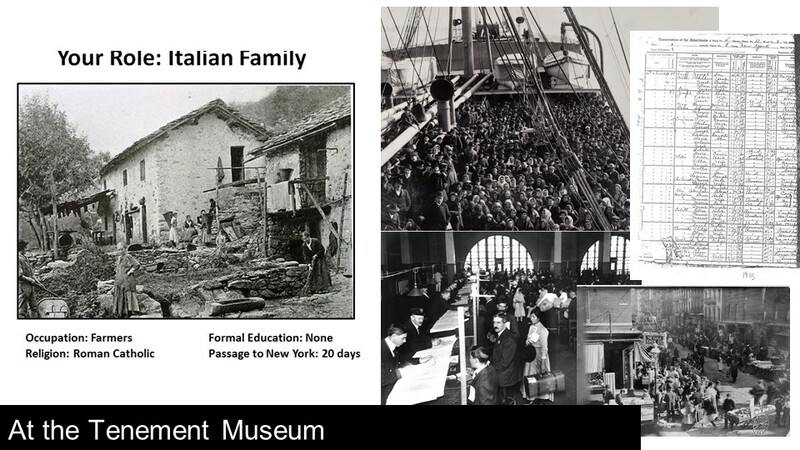 In this example, from our Meet Victoria program, visitors are given the role of Italian immigrants in the year 1916. During the first part of their tour they are given a variety of resources including images and historic records that provide context and help them get into character. As they become an immigrant family starting a new life in America, they take on a role analogous to Victoria’s experience. 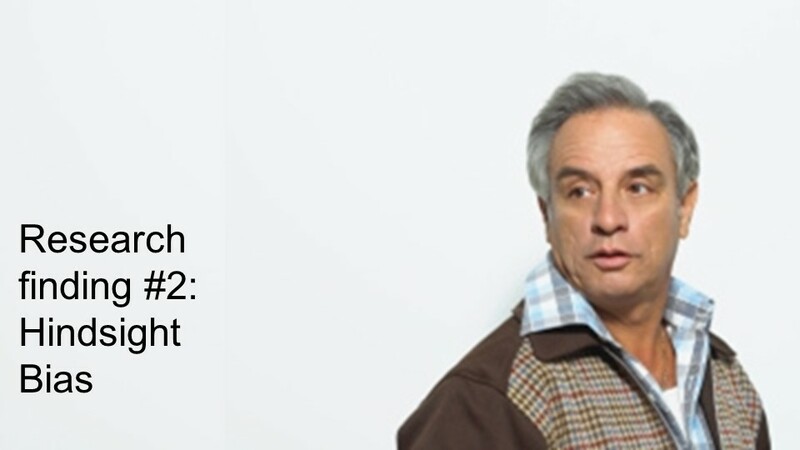 This role-play helps visitors to connect to Victoria and limits egocentric bias. By creating a scenario where they need Victoria’s advice and perspective, we invite visitors to see Victoria not as a stranger from the past, but as a contemporary – a view that will help to see the world from her perspective. The first part of the program prepares visitors for the second part of the program: a visit with a costumed interpreter playing the role of Victoria Confino, a 14 year old that immigrated with her family from Kastoria in 1913. Giving the visitors context and a role analogous to Victoria helps them to leave their egocentric bias at the door, and leads to more quality interaction. The immersive and sensory experience of visiting with Victoria in her apartment helps visitors maintain their role. We have observed that in the majority of our programs this combination of preparation + role-play + immersive storytelling supports visitors in leave their egocentric bias behind. Now we are going to complicate our picture of empathy with some recent research findings. Empathy is a BIG topic among social psychologists right now. 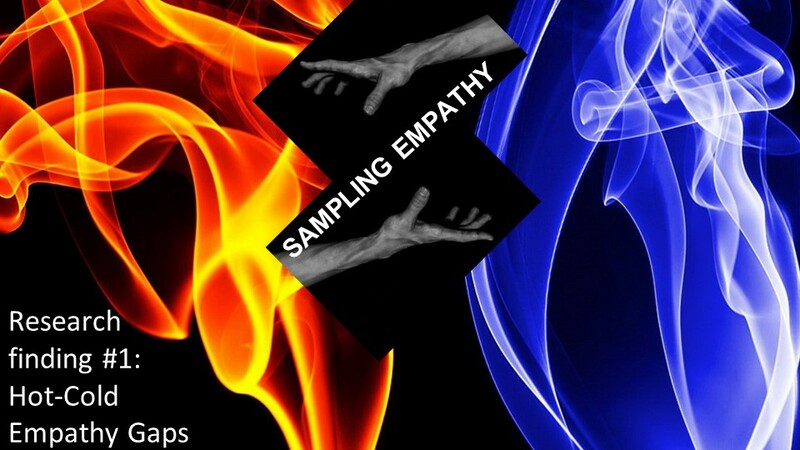 Many nuances of what promotes/hinders empathy are being explored. We’re now turning to three recent findings from this body of research. One line of research compares “hot” and “cold” emotional states. A “hot” emotional state is one that is emotionally charged, e.g. fear, hunger, anger, thirst; a “cold” emotional state is the opposite. Studies have shown that when we ourselves are in a “cold” state, we have a hard time empathizing with or predicting what it is like to be in the opposite (i.e. “hot”) state. For instance: “People who are just about to exercise and are in a relatively neutral state predict that they would be less bothered by thirst if they were lost without food or water compared with people who have just exercised and are therefore relatively thirsty and warm” (study cited in Van Boven, Loewenstein, Dunning, & Nordgren, 2014). The implication for museums is: When visitors are in a comfortable, climate-controlled museum, free from fear or cold or hunger, are they really able to grasp what it is like to be terrified or freezing or starving? Participants in a study were asked to imagine being a student who was being punished by standing out in the cold without a jacket. The participants were divided into three groups. One third of participants were asked to stand out in the cold themselves. One third of participants were asked to keep their arm in a bucket of ice water. And one third of of participants were asked to keep their arm in a bucket of warm water. Those who had their hands in ice water and those who stood out in the cold both made the same estimates about how uncomfortable the hypothetical student would feel. THAT IS, it didn’t matter if you were actually experiencing being in the cold or just having your arm in ice water. 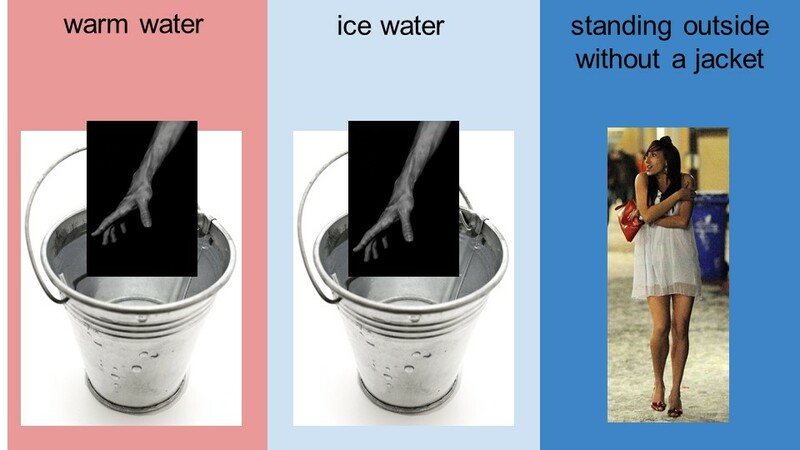 Just having a “sample” of the situation, having your arm in ice water, led people to empathize just as much as people who were experiencing the full situation first-hand by standing out in the cold! In museums, if we want people to grasp the experience of another person, are these good strategies to try? For example, are there ways that we can encourage empathy in museums by giving people a small sample of what a situation would feel like for another person? When visitors crowd into the small spaces of our exhibits, they can better relate to the crowding experienced by the residents that once lived there. Harris and Jennie Levine (pictured above) lived in this space in 1897 with their 2 children. They immigrated to New York City from Plonsk, Poland. At the time depicted, a very pregnant Jennie would share the area in front of the coal stove with a presser doing the ironing for her husband’s garment shop, which was located in the front room of the apartment. You can picture her tending to her toddler in the crib in the foreground, cooking his food on the stove, and working tirelessly to take care of her growing family. Immersing visitors in the details of Jennie’s experience while having them crowd into the small space she inhabited, helps them to empathize with her daily situation. It may feel easy for us to pass judgment about people living in other times, but we often lose sight of the fact that we have privileged information. We have the benefit of hindsight. We can look back at a summary of a person’s life or get an overview of a historical period and see/know things that a person living in that context did not see/know. 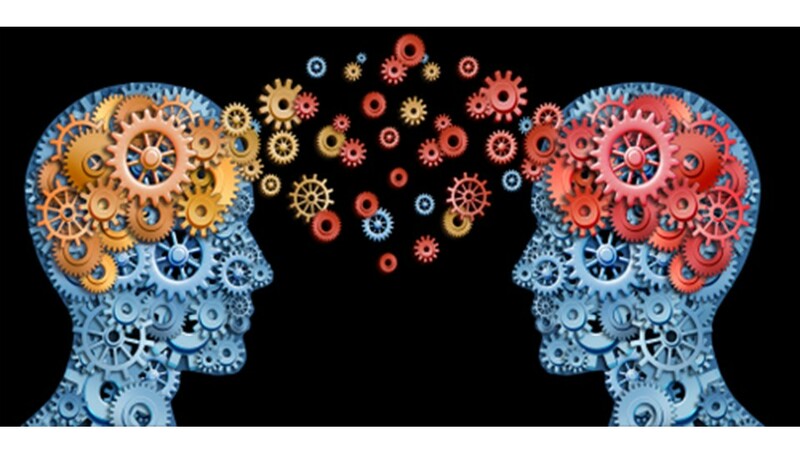 This can easily lead us to fall prey to the hindsight bias: the failure to empathize or put ourselves in the shoes of another person because we don’t realize that we know more than they did. History educators have long sought to combat students’ tendency to judge people of the past as stupid or backward. This may be easy to say, because we know the “big picture” of history. 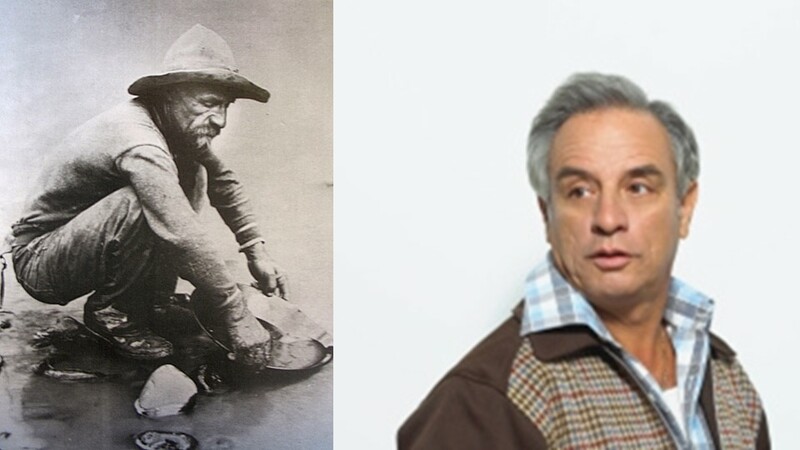 One participant in a study I am working on currently said that those who mined for gold during the California Gold Rush were “idiots,” because people often made more money providing goods and services to the miners. She had the benefit of hindsight and wasn’t empathizing with gold miners – she was quick to judge, not weighing the information that a miner actually would have had at the time or what a miner’s motivations may have actually been. In museums, how can visitors be encouraged to be more thoughtful about what would people in different times may have been thinking, instead of being quick to judge? 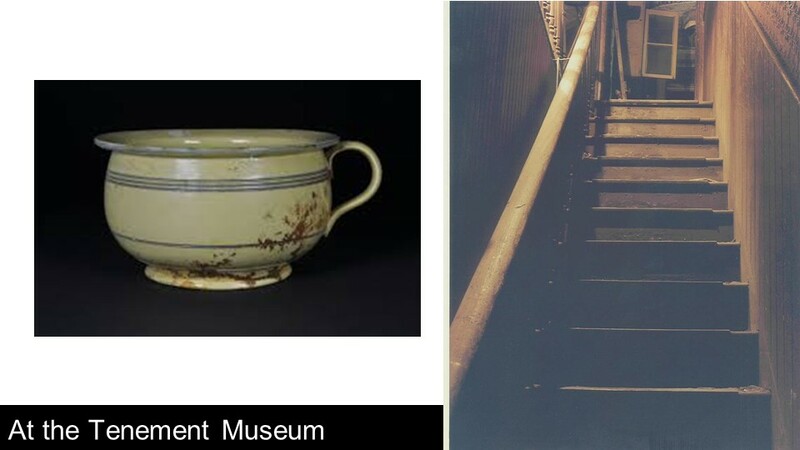 To counter this hindsight bias, Museum Educators offer a different way of seeing the chamber pot, helping visitors to imagine what it would have been like to have lived in 97 Orchard Street before there was running water and electricity. For example, s/he might prompt visitors to imagine they are living in a building where the only toilets are outside in the yard. There is no source of light so you must take the candle or kerosene lamp and carry it along with the chamber down four flights of narrow stairs. How will you stop it from spilling on the floor, or even worse on you? Now picture yourself in a long billowing skirt… With this background information and detail, visitors can understand that throwing the contents of the chamber pot out the window was actually the smart thing to do. Another finding is that repeatedly being exposed to some sort of stimulus, whether it is something that makes us sad or joyful or irritated, desensitizes us so that we have a hard time empathizing with someone who is experiencing it for the first time. For instance, Campbell, Van Boven, O’Brien, Schwarz, & Ubel, 2014 found that repeatedly exposing someone to an annoying noise desensitizes them to that noise – they don’t care any more. 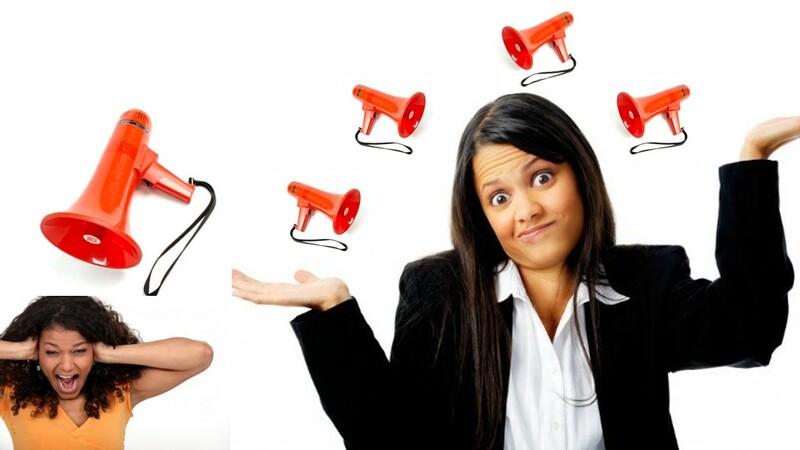 When a person is asked how another person would feel hearing that annoying noise for the first time, they tend to say that the other person wouldn’t care that much. If we want people to empathize with others, it might make more sense to encourage them to try and remember how they felt the first time they encountered a stimulus, e.g. the annoying noise, and by encouraging them to look at how other people around them, who are experiencing the noise for the first time, are reacting. In museums, is it possible to give visitors too much of a stimulus, e.g. too many upsetting images of people in danger (like in a Holocaust exhibit), such that they become desensitized and no longer empathize with the people in the images? 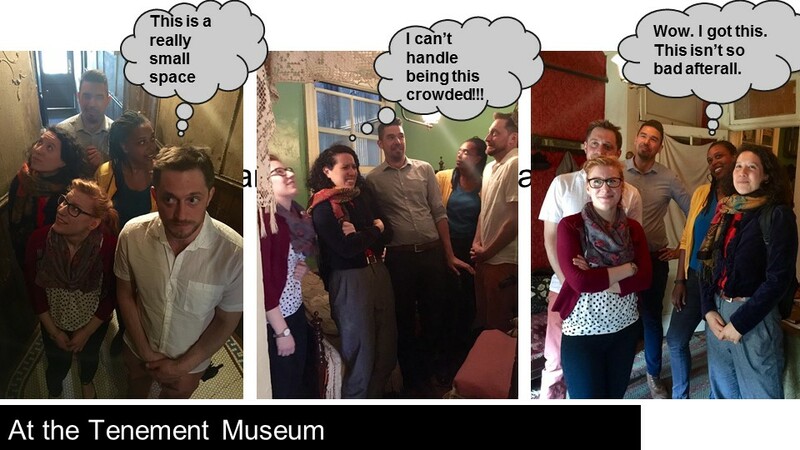 At the Tenement Museum the experience of crowding can lead to desensitization. Initially, visitors are often surprised by how small the living spaces are. This can be followed by discomfort. However, after visiting a few spaces and surviving the experience, desensitization bias can leave them feeling like the space is not that bad after all. 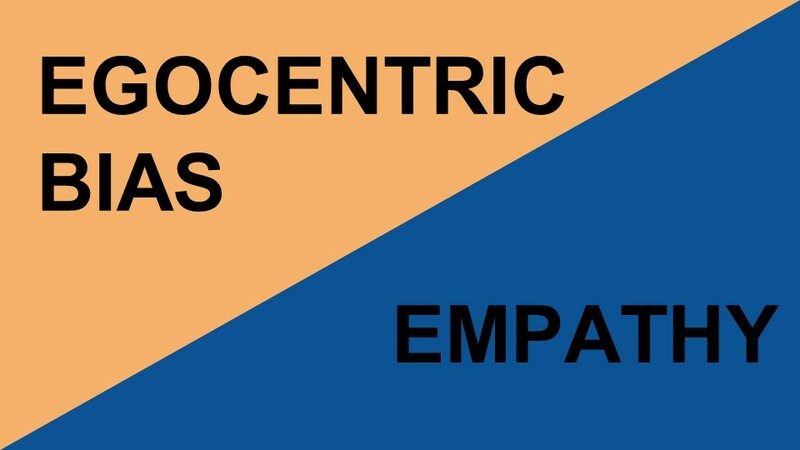 Of course, it is important to remember that the study of empathy is “tricky” as the session title denotes, and creating exhibits that will find the sweet spot where empathy is fostered is complex. During the conference presentation, after sharing research findings and examples from the Tenement Museum, we opened up the floor for questions. There were a range of questions indicating that this is a topic colleagues have thought deeply about. For example, one attendee asked about empathy in relation to people perceived as good vs. those seen as bad. Another asked about the possibility of empathy not with people, but with the environment. The conversations continued well afterward, and we hope they continue even further. Campbell, T., O’Brien, E., Van Boven, L., Schwarz, N., & Ubel, P. (2014). Too much experience: A desensitization bias in emotional perspective taking. Journal of Personality and Social Psychology, 106(2), 272. Fischhoff, B., & Beyth, R. (1975). “I knew it would happen”: Remembered probabilities of once-future things. Organizational Behavior and Human Performance, 13, 1-16. Galinsky, A. D. (1999). Perspective taking: Debiasing social thought. (Unpublished doctoral dissertation). Princeton University, Princeton, NJ. Galinsky, A. D., Ku, G., & Wang, C. S. (2005). 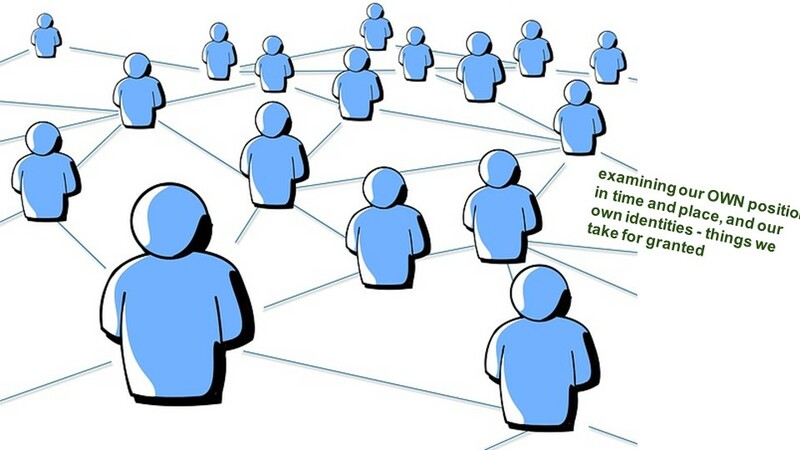 Perspective-taking and self-other overlap: Fostering social bonds and facilitating social coordination. Group Processes & Intergroup Relations, 8(2), 109-124. Hunt, L. (2002). Against presentism. Perspectives, 40(5), 7-9. Mendoza, R. J. (1997). Emotional versus situational inductions of empathy: Effects on interpersonal understanding and punitiveness. Unpublished doctoral dissertation. Stanford University, Stanford, CA. Nordgren, L. F., McDonnell, M. H. M., & Loewenstein, G. (2011). What constitutes torture? Psychological impediments to an objective evaluation of enhanced interrogation tactics. Psychological Science, 20(10), 1-6. Van Boven, L., & Loewenstein, G. (2005). Empathy gaps in emotional perspective taking. In B. F. Malle & S. D. Hodges (Eds. ), Other minds: How humans bridge the divide between self and others (pp. 284-297). May 4, 2015 in Uncategorized. How can museums foster empathy? This is a such a timely and beautifully narrated article, and complex, yes. It made me think about each of the several visits to the local and international museums where I usually focus on exhibits and art, rather than the persons responsible for creating the objects or the socio-cultural context of the artefacts. I believe context is everything and typical signage is no longer enough to encourage the usual museum goers to delve into the context of an exhibit. The same applies to empathy. Taking the example of the Tenement Museum, if the same experiential tour was organized in India (where I live), the average visitor would actually experience disbelief that migrants would want to complain about the “cramped quarters,” because space is a premium here, most of the lower middle and poor people live in tiny, one-room spaces with big families, so while we would be able to have perspective about the situation, we wouldn’t empathize or necessarily feel sympathy. How would you recontextualize the exhibit, signage and experience for people from different walks of life without overtly using the ’empathy’ card? Nilofar, I think the issue you raise about context is really important, because we often don’t truly understand the context of the people we are learning about. I am skeptical about the idea that 19th century immigrants thought those apartments were small. 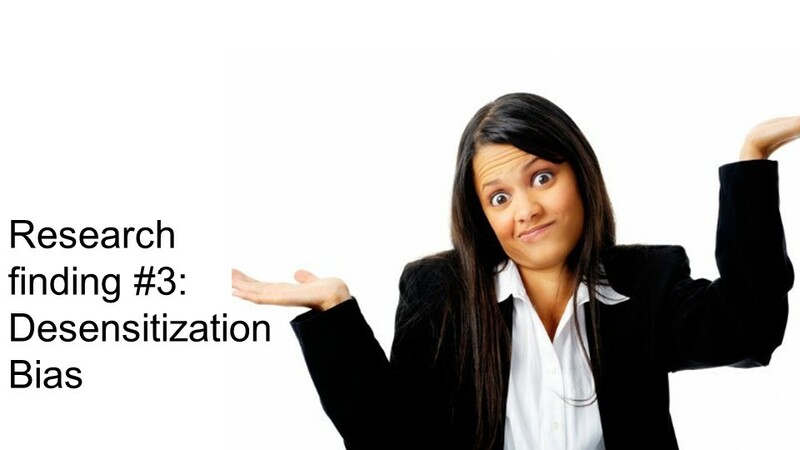 So when we are asking people to empathize, sometimes they simply end up misunderstanding. Emily Skidmore (RK&A): I was completely fascinated by this (and appreciated that you shared it since I was not able to be at AAM). It made me think about the museum contexts in which this would work well and those where it might be more difficult. For example, communicating the effects of climate change came to mind. How, with an abstract scientific concept such as climate change, does one effectively foster empathy? I suppose this is similar to what the individual who asked you about fostering empathy for the environment (and by extension, animals, wildlife) was driving at. In history museums or historic houses, the goal is for visitors to empathize with other people (albeit of a different time and place) but what about other species? I think there are those of us who do empathize with the plight of other species because the underlying “hot” emotional states (related to survival) can be imagined as quite similar. In any case, thank you for a thought-provoking blog. Emily, your comment reminded me of a recent This American Life episode about changing people’s minds – http://www.thisamericanlife.org/radio-archives/episode/555/the-incredible-rarity-of-changing-your-mind. I didn’t get to listen to the first story in its entirety, but it basically seemed to be arguing that the way people change their minds is through connecting with a personal story. As soon as the people trying to do the convincing move away from the personal story, they lose their audience.